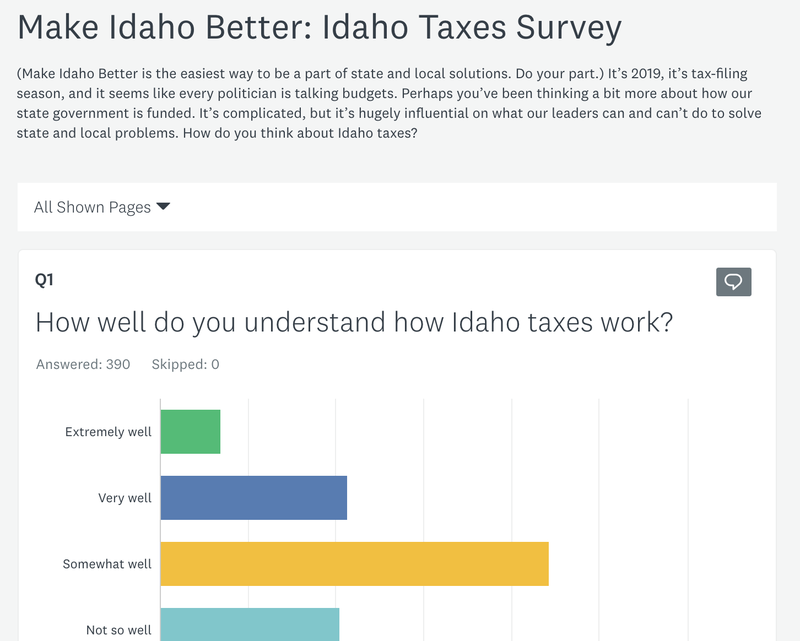 Make Idaho Better is the easiest way to be a part of state and local solutions. Do your part. It’s 2019, it’s tax-filing season, and it seems like every politician is talking budgets. Perhaps you’ve been thinking a bit more about how our state government is funded. It’s complicated, but it’s hugely influential on what our leaders can and can’t do to solve state and local problems. 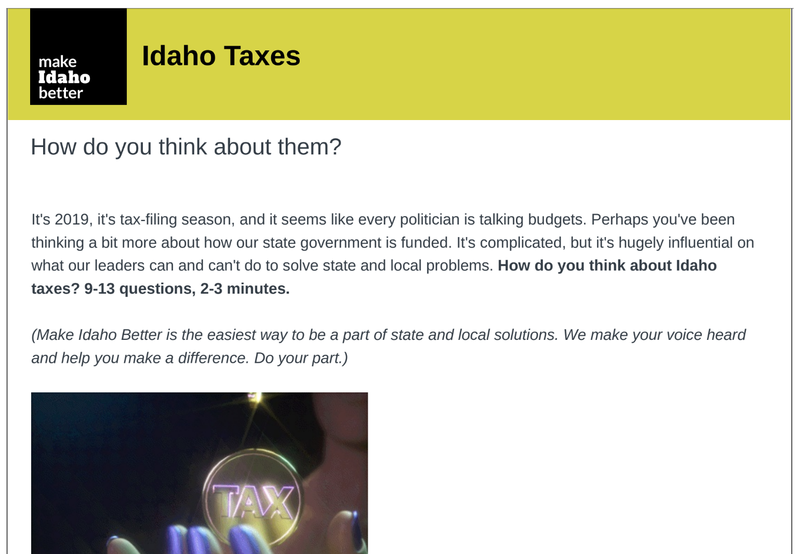 How do you think about Idaho taxes? If we’re able to do leader interviews on this topic, we’ll post the recordings here. 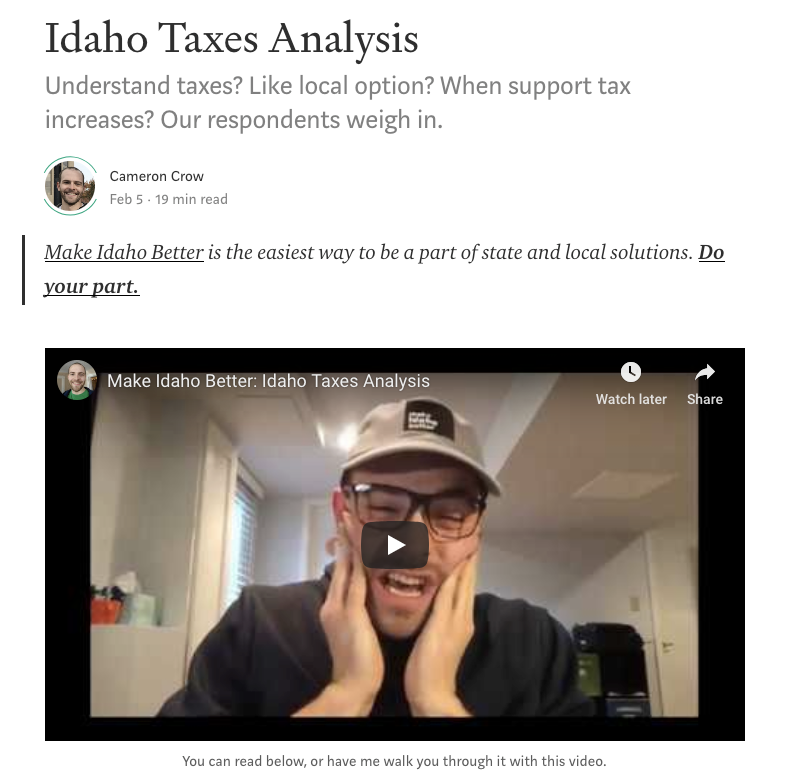 Using surveys, public results and analysis, and stories to make Idaho voices heard and make a difference. Helping leaders find better solutions with innovative and affordable community engagement and market research.